Maryland has always been relatively tough on guns, and in the last two years new firearm legislation has made it one of the toughest states in the country. But whether these strict laws actually work to curb gun violence is an issue that will be debated for years to come. The Firearms Safety Act has only been around for a year and a half, so it is impossible to make sweeping conclusions on its effectiveness yet. One thing is for certain though; the strict gun laws create a lucrative market for out of state gun traffickers, which has become a priority for the local United States Attorney’s Office. This past week federal authorities announced the conclusion of a seven-month investigation that has eliminated a gun trafficking ring operating from Tennessee. The investigation yielded seven arrests, with three of the suspects being previously convicted felons. This particular group would allegedly purchase various guns in Tennessee with the intent of selling them for a profit in Baltimore. Now, each faces up to 10 years in prison for illegal gun possession and additional time for conspiracy charges. The federal prosecutor’s office boasted that this bust put an end to an operation that flooded Baltimore with upwards of 30 guns per week. While this is certainly an achievement for law enforcement, according to the ATF only 39 of the some 5,000 seized guns in Maryland actually came from Tennessee. Over 300 were traced back to Pennsylvania, and about 500 came from Virginia. In total about 2,200 seized guns originated from outside states, prompting some to argue that overly tough state gun laws simply create an illegal market for firearms trafficking. If the gun stores can’t sell certain guns legally then those who really want them will look to purchase them illegally. 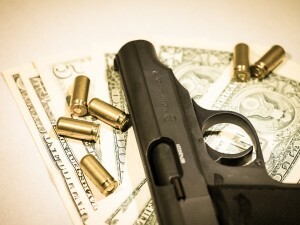 Illegally purchased firearms present law enforcement with a whole new set of problems because they cannot be accurately traced, and they often fall into the hands of people that would otherwise be prohibited from purchasing a gun. State officials who support tight gun control would argue that you have to start somewhere, and it is unwise to base your own policy decisions on what your neighbors are doing. At the same time the regional climate with relation to gun control should always be a consideration when drafting new legislation. Especially legislation that is as sweeping as the firearms safety act. In addition to creating a larger market for illegal gun trafficking within our state’s borders, the act is also affecting the state’s economy. Beretta USA has been manufacturing the standard military issue pistol in Maryland since the 1980’s, but now that 15 round magazines have arbitrarily been declared illegal here the company is closing the factory and moving out of state. The firearms safety act now prohibits law-abiding citizens from purchasing a handgun that is a standard issue side arm for the Army. The proponents of the act argued that a private citizen has no need for a handgun with a capacity of more that 10 bullets, and maybe they’re right. On the other hand the cost benefit of an outright ban of this type of handgun doesn’t seem to add up. We’re seeing a spike in illegal gun trafficking and a large factory with hundreds of jobs moved out of state. But are we safer? That remains to be seen, and the Blog will post a follow up article in the future on this topic so stay tuned. Benjamin Herbst is a handgun lawyer in Maryland that handles all types of criminal charges, and specializes in out of state clients. 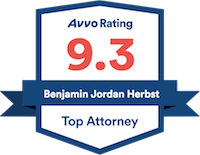 Contact Benjamin anytime for a consultation about your case anytime ate 410-207-2598. Weapons used in Maryland crimes often purchased in other states, baltimoresun.com. Why Beretta is moving its gun factory to Tennessee, money.cnn.com.